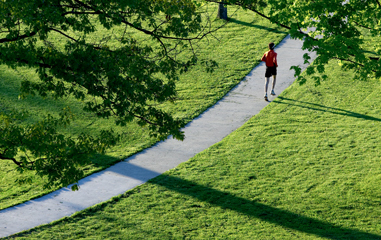 We offer these videos as snapshots of Middlebury, glimpses of what you'll find here. We hope you'll find them to be an illuminating window on the College, its people, and its programs. 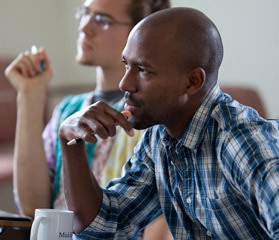 Founded in 1800 and set in the beautiful Champlain Valley of Vermont, Middlebury College has long been one of the finest liberal arts colleges in the country. Our 2,500 students, from all 50 states and more than 70 countries, are part of a community devoted to teaching, learning, and collaborating. What will you find at Middlebury College? 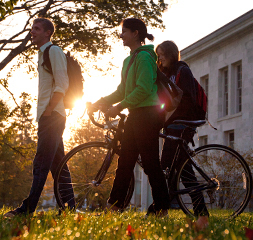 A liberal arts education for the 21st century; a community of diverse people and perspectives; a passion for the environment and a sustainable lifestyle; a long-term commitment to international education; and, perhaps most importantly, people—students, faculty, and staff—with the energy to make things happen. Middlebury College respects the free-speech rights of students and student applicants. This includes the right to engage in peaceful protest and civil disobedience regarding issues of personal or national interest. We understand that student applicants may be concerned that their personal political activities, particularly those that may lead to disciplinary action by their school, might be viewed negatively by colleges and universities they are seeking to attend. The Middlebury College Admissions Committee will consider such reports in light of its belief that students are active members of our society and have political rights and obligations. This is true without regard to the content of the issue.